Transmin is a world-class provider of innovative engineered equipment, supplies and services to the mining-resources and bulk materials handling industries. Established in Perth, Western Australia in 1987, Transmin sets the standard for mechanical equipment design and application, led by our specialist Engineering division and backed by our dedicated Project Management, Servicing and Parts divisions. Transmin’s Controls and Automation division delivers award-winning software solutions – specialising in remote equipment operation and plant integration. 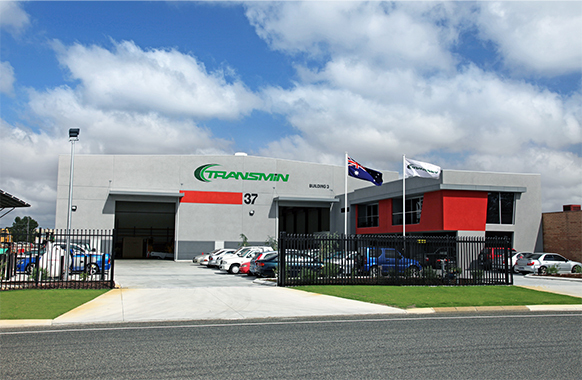 Transmin’s head office and major manufacturing facilities are located in Perth, with regional presences in Brisbane, Johannesburg and Santiago (represented by PH Ingeneria). In Brazil, Transmin is represented by TMSA (Technologia em Movimentacao). Our international network, including suppliers and industry partners, provides true global reach with the capability to undertake and support projects anywhere in the world. Transmin engineered equipment is currently deployed in over 60 countries worldwide. The Transmin original equipment range covers bulk materials-handling applications ‘From Plant to Port’. This includes a range of feeders and conveyors, bulk loading and unloading hoppers, hydraulic boom systems and attachments, isolation gates, reagent preparation and processing facilities, lime preparation facilities, ball-charging systems, elevators, silos, and more. Transmin also has the capability to undertake special ‘turn-key’ projects requiring custom-engineering, fabrication and assembly. Aside from our extensive original equipment range, Transmin is also a certified distributor and sales agent for the following brands: Thermo Scientific (WA/NT), Berco (Australia-wide), Yoshikawa (Australia-wide), A-WARD (Australia-wide) and Rotaval (Australia-wide). Thanks to our innovative engineered products and systems, and our outstanding service record, Transmin has received official industry recognition via a number of industry awards.